On January 8th I hopped on a plane (two planes, in fact) and flew out to South East Asia to visit my boyfriend who has opened up a bar in Laos. I had never flown on my own before, and had never gone too far East, so this was a huge adventure for me (there will be many blog posts about my adventures to follow!). In the few weeks before I was due to set off, I made sure that I had everything sorted out and organised - nothing was going to catch me off guard and nothing was going to affect my time out there - be it illnesses, sunburn or injuries (ha... little did I know). I stocked up on suncream, aftersun, malaria tablets, insect repellent, painkillers, received three vaccinations in the doctors and was completely ready. The day before I was due to depart, my dad called me asking whether I had sorted out any travel insurance. Insurance? Admittedly, travel insurance was something that had completely slipped my mind. In the past I'd paid for insurance on several things - house insurance, phone insurance, item insurance - and I felt it was just money going down the drain. I never had to claim anything, I never had to use the insurance and I never got any real benefit out of it. Last year, I had to pay £10 a month to insure my belongings in my shared student house and, of course, never saw the money again. 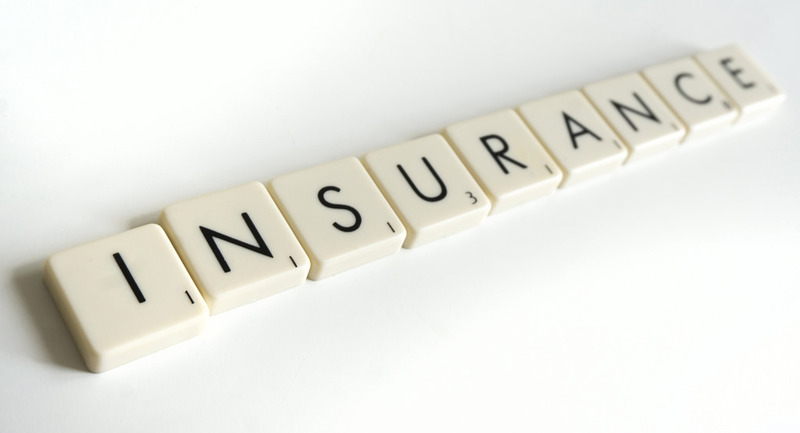 So how much more essential could travel insurance really be? Did I actually need it? Just as I was about to start Googling cheap travel insurance companies, my dad told me that he was in the process of sorting it out for me. He secured my insurance through American Express, and paid around £30 for the Gold AMT package. And that was the end of that. The next day, I flew out to Bangkok and spent the next two weeks travelling down through Laos with Lewis (which was absolutely beautiful by the way - as I said, there will be many posts to follow). We spent the last week of my holiday in Don Det (a little island off Southern Laos) where his bar is and soaked up the 35 degree heat there while wining and dining with all the glorious Asian food. Around three days before my flight back home, I started to feel weird. We were sat in a bar overlooking the Mekong River with the intention of going for dinner afterwards, but for some reason I just could not drink the mojito in front of me (and trust me, the moment I couldn't drink a mojito was the moment I knew something must be seriously wrong). My stomach was unsettled, I could feel a migraine coming on and the thought of eating or drinking anything was making it twenty times worse. I nipped off to the toilet to try and compose myself and sort myself out, only to find that my body was having none of it - it wanted all the contents of my stomach out, right there. And that's where it started. I was sick, and sick, and sick, and when I thought I was done being sick I was sick again. I managed to stumble back into the bar to tell Lewis that we had to leave, and proceeded to be sick on the way back to our guesthouse too. That night turned out to be one of the worst, and sickest, nights of my life. By the end my entire body was exhausted. My eyes were rolling back, I was passing out in between being sick and I couldn't even get the energy to sit up. Any drop of liquid that I had over the following 48 hours would completely set me off again and trigger the whole situation all over again. I couldn't leave my bed for the next two days, I couldn't eat, I couldn't drink and I was certainly in no state to be getting a 12 hour bus followed by a 16 hour flight home. My flight had cost me over £400 and we looked into buying me a new flight home a few days later but they were so expensive - it was going to cost me £350 alone, and that wasn't including the extra accommodation and travel I was going to have to pay for. Then that's when I remembered my travel insurance. I hadn't looked into it properly before I left, so I wasn't sure how it would work but Lewis called up my dad (I was honestly too sick and weak to even speak properly) and told him what had happened, asking if he could get in touch with my travel insurance company and see if they could help. Within a couple of hours Lewis was directly speaking to them and they said that if I could provide evidence (from a doctor) of my sickness then they would be able to help with costs of a new flight and accommodation for the time being. There was no doctor on the island we were staying (typical) so I just about managed to climb into a boat and we went over to the mainland where I was seen by a doctor who put me on 18 (!!!) pills a day and gave me two ginormous injections. He said I was too sick to fly, but that to get an official certificate I would have to travel two hours to a big hospital where they could give me one. To cut a few long stories short, I couldn't travel to the hospital that day (busses and sickness don't mix well) but was able to get there the next day where I got my certificate. I sent it straight over to my insurance company, and they said that they could cover my case. From there on, the people in my insurance company who covered my case were so lovely and helpful. They paid directly for the extra accommodation for me to stay in, and had booked me a new flight a week later within a couple of days. They even said that once I returned home, I could even claim money back on things such as food and travel which had cost me extra. They kept in touch with me every step of the way, and as I got better they still covered my extra accommodation and travel costs - which could have left my bank balance in an awful position. I wanted to write this blog post simply to stress the importance of travel insurance and to demonstrate how helpful and beneficial it can be. If you go away without travel insurance and end up getting sick or injured, it can end up costing you an absolute fortune. If I did not have travel insurance, it would have been extremely difficult to pay for a new flight home - not to mention extra accommodation and travel costs. If you're going away somewhere or are off travelling, make sure you invest in travel insurance. You only pay a small sum and it can save you a lot of money! Ah you poor thing-that must have been horrendous! thank goodness for travel insurance to cover your new flights and accommodation. That sounds like a horrid experience, thank goodness your father got you the travel insurance or it would have been a much worse experience. I think we never think about things like this until something happens that highlights how important things like travel insurance really are. Wow! I never thought about getting travel insurance until now. Great post! That sounds so terrible! !I'm glad the insurance company could help. I thought at the beginning of the post you might say you had been robbed- because that's the thing I think about if I take out travel insurance! Travel insurance is so important! I can't believe how many people travel without it. oh you poor thing Amy, that's horrendous!! and 'phew'!! Wow this is horrible, I never though about getting travel insurance but it is a good idea because you just never know what can happen. Thanks for sharing!! OMGosh! Heart in mouth. We never go away without travel insurance - too much of a risk! Sorry you were ill on your holiday! Glad the insurance sorted things for you. Definitely shows how important it is to get travel insurance, which reminds me, I need to buy my travel insurance! I've heard many bad times when people close to me have lost lots of money because they didn't have it! Ahh Hun I so sorry you got ill, lovely post and travel insurance is a must well done dad ! Oh my word I totally agree. We went to Egypt and my husband and I got ridiculously ill that we spent a good amount of the holiday wishing we werent there. My husband was on a drip it was that bad. Insurance was a bit weird, so I also think investigating what you can claim and cant claim and the actual costs are really important too. Oh gosh, what an awful experience! I think insurance is so important!